The new mini caulking gun offers a great new convenience for dispensing sealants. 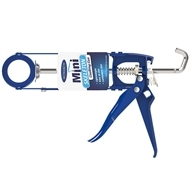 It's smaller size easily fits the new mini cartridge, so you'll able to tackle all of those odd jobs. 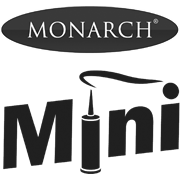 With an inbuilt cartridge opener, you can easily twist open a Monarch Mini٠sealant and get started! It has a swivel head for easy storage.